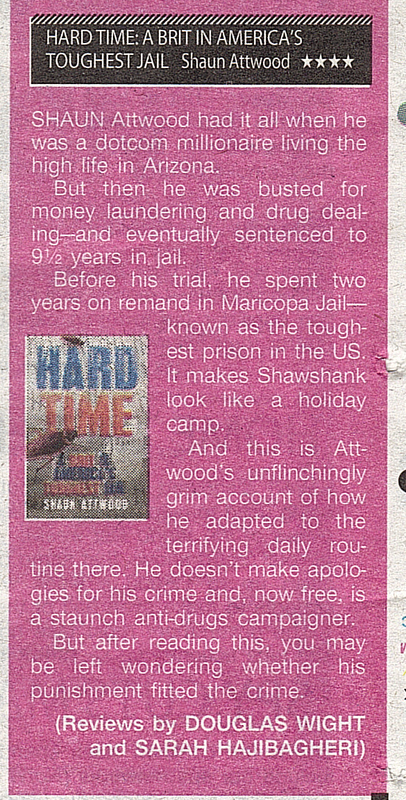 SHAUN Attwood had it all when he was a dotcom millionaire living the high life in Arizona. But then he was busted for money laundering and drug dealing – and eventually sentenced to 9.5 years in jail. Before his trial he spent two years on remand in Maricopa Jail – known as the toughest prison in the US. It makes Shawshank look like a holiday camp. 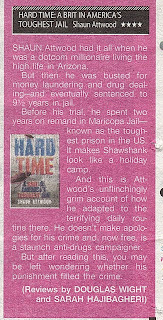 And this is Attwood’s unflinchingly grim account of how he adapted to the terrifying daily routine there. He doesn’t make apologies for his crime and, now free, is a staunch anti-drugs campaigner. But after reading this, you may be left wondering whether his punishment fitted the crime.